Investment Archives - Page 3 of 17 - Solar Love! Diversified business conglomerate Aditya Birla Group has announced that it has partnered with Dubai-based private equity investor Abraaj Group to develop utility-scale solar power plants across various states in India. Aditya Birla Group will invest in solar power assets through one of its subsidiaries, Aditya Birla Nuvo Limited, (ABNL) whereas Abraaj will invest through one of its affiliates. Under the terms of shareholder’s agreement, Abraaj will hold 49% stake whereas ABNL will hold 51% stake in Aditya Birla Renewables Limited, currently a wholly owned subsidiary of ABNL. Aditya Birla Renewables Limited, the solar power platform, will bid for upcoming central and state government projects as well as in the private sector with an intention to develop and operate utility-scale solar power plants across various states in India that can provide pollution-free and cost-effective electricity to national grids. Through this partnership, both the companies are entering the Indian solar market at a time when government is pushing to increase the share of renewable energy, mainly solar and wind energy, through favorable regulatory policies. Over the last few months, several international firms have announced plans to partner with Indian companies to expand their footprint in the Indian solar energy market. The Indian government plans to have an operational capacity of 100 GW of solar power capacity by 2022. Abraaj Group is already operating in big markets like Africa, Asia, Latin America, the Middle East and Turkey and is a leading private equity investor managing approximately USD 9 billion of funds. 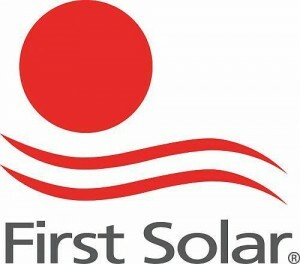 First Solar has announced three separate orders that, when added up, total 529 MW of power purchase agreements and thin film solar modules. On the same day that the global solar PV company released its third quarter earnings report, First Solar also revealed these three separate project announcements. First of all is an order for 400 MW of First Solar’s advanced thin film solar PV modules to US utility-scale solar project developer Strata Solar, expected for delivery from 2017 into 2018. The agreement between the two companies takes their overall transactions up past 1,000 MW. The second, though smaller order, is an agreement between First Solar and the Sacramento Municipal Utility District for the execution of a power purchase agreement for offtake of a 10.8 MW solar project to be built on the site of the decommissioned Rancho Seco Nuclear Generation Station. The project, upon completion in mid-2016, will generate more than 22,000 MWh of clean energy. The final of the three announcements made on Thursday is the second power purchase agreement, this time with Austin Energy, for the electricity generated by First Solar’s 119 MW AC East Pecos Solar Project, which is expected to begin operation in late 2016, and generate approximately 3 million kilowatt hours of clean energy annually — that’s enough to power the equivalent of 27,000 average homes in the area. One of the world’s leading solar PV module manufacturers, Trina Solar, announced Wednesday that it had secured a $1.57 billion loan from CITIC Bank. According to a press released published Wednesday by Trina Solar, the booming China-based manufacturer revealed that it had secured a 5-year strategic cooperation agreement with CITIC Financial Leasing, and a separate 3-year strategic cooperation agreement with CITIC Bank Corporation Limited Changzhou Branch. The terms of the agreements place Trina Solar as a preferred strategic partner of CITIC, providing Trina Solar with “one-stop customised financial products and services,” which includes credit facilities of RMB5 billion from CITIC Financial Leasing to support Trina Solar equipment upgrade, downstream projects, and another RMB5 billion from CITIC Changzhou for trade financing. Translated into USD$, this equates to a loan of $1.57 billion. “We are pleased to build a long-term strategic partnership with CITIC based on our existing cooperative relationship to fuel our global growth and optimize our capital structure,” said Ms. Teresa Tan, Chief Financial Officer of Trina Solar. “We believe these arrangements demonstrate CITIC’s continued strong confidence in our current business model and future prospects. Trina Solar is an enviable investment these days, having recorded two straight quarters of record results this year, and another likely around the corner. According to its second quarterly earnings report, Trina Solar finished the quarter with total module shipments of 1,231.6 MW, which was 20% up on an already record Q1, and 30.6% up on a year earlier. About 300 MW of Japanese solar power projects may be supported by the British banking and investment group Barclays, in the form of solar bonds. $418 million or JPY 50 billion is the monetary value associated with the projects, should Barclays go ahead. The reason it may want to proceed is to offer an alternative investment option for its clients. “Others may follow Goldman in the future. It’s uncertain how long the expansion will continue though,” explained Takashi Morioka, chief analyst for Rating and Investment Information. These bonds have very low interest rates, but are also generally considered to be very stable. Grid congestion and an increase in interconnection applications might slow some of this expansion. Utilities can put the brakes on growth if they say it is not meshing well with their systems. Barclays and Goldman Sachs are not in the business of being “green” – they are in the business of making money. When investment bankers put their money into these kinds of projects their motivation is very clear — to make money. It isn’t only Barclays and Goldman that have expressed interest in Japan’s solar power development, Deutsche Bank AG has as well. This kind of endeavor is not primarily environmental, it is economic. As we all know, the Fukushima incident was quite a shock to the Japanese people and one that traveled across international borders. It also spurred a new openness and urgency in relation to renewable energy, because it is much safer than aging nuclear power plants. Also, the cost of solar power has dropped so much recently, that it has become much more accepted. 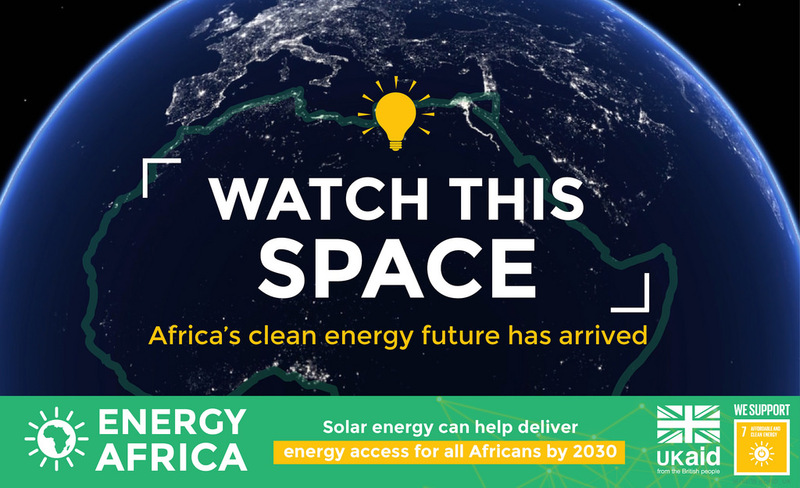 The UK Government has launched its Energy Africa campaign, in an effort to accelerate the expansion of household solar throughout the continent. 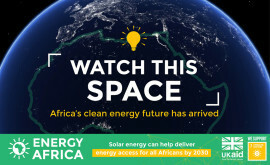 Launched last week, Energy Africa is the brainchild of the UK’s Department for International Development, and was announced by its Minister, Grant Shapps, last Thursday, at Facebook’s offices in London, and included attendance by the Chair of the Africa Progress Panel and Former UN Secretary General, Kofi Annan, African Union Commission chairperson Madame Zuma, the Nigerian Vice President Yemi Osinbajo, Founder of Virgin Group, Richard Branson, and activist Bob Geldof. The need is unsurprisingly urgent — two out of three people currently living in Africa do not have electricity in their homes. 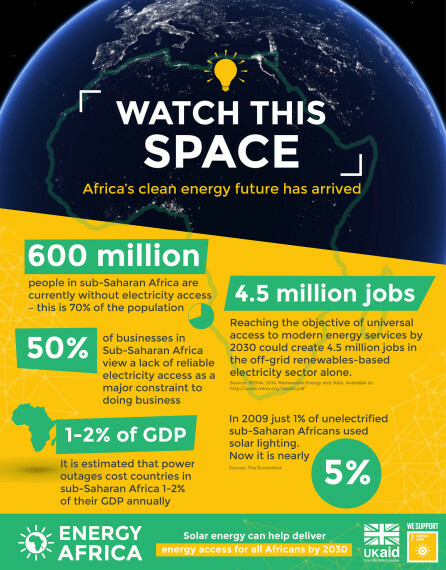 600 million people in sub-Saharan Africa are completely without electricity — approximately 70% of the population. Unfortunately, according to the UK Government, if something is not done to avert the current trajectory, it would take until 2080 for the continent to reach universal electricity access — dramatically impacting millions of lives. Italian-based Enel Green Power has announced it will be forming a joint venture to consolidate 210 MW of operating solar PV capacity in Italy. In an announcement released last week, Enel Green Power revealed that it would form a 50/50 joint venture with Italian asset management firm F2i (Fondo italiano per le infrastrutture) — along with the company’s respective subsidiaries — so as to consolidate operating solar PV projects currently owned by the two companies. Specifically, Enel Green Power will contribute — through its subsidiary Altomonte FV S.r.l. — 105 MW of solar PV assets, while F2i will contribute 104 MW of solar PV assets — currently held by F2i Solare 1 S.r.l. and F2i Solare 3 S.r.l., subsidiaries of F2i Energie Rinnovabili S.r.l. Enel Green Power has regularly been in the news of late, with a number of successful projects being deployed or won around the world. Earlier this month, Enel Green Power announced that it would be looking to increase its investments in Morocco, with initial plans to participate in the country’s 850 MW wind energy tender. At the same time, Enel Green Power executed a large renewable energy asset sale in Portugal, earning $1 billion in its sale of assets to First State Wind Energy Investment. Reported in September, Enel Green Power was also the biggest winner in Brazil’s Leilão de Reserva public solar tender, walking away with over 500 MW of solar PV project capacity. This followed an announcement from a month earlier, in August, of Enel Green Power’s plans to acquire India’s renewable energy project developer Bharat Light & Power. This new joint venture will include assets valued at €230 million from Enel Green Power and €285 million from F2i. In order to ensure equal shareholdings in the joint venture, Enel Green Power is also planning on making an €18 million cash contribution at the time of the transfer of Altomonte FV S.r.l.’s investment. EU antitrust approval is expected by the end of 2015.